Joni Mitchell was a welcome participant in the crepuscular closer The Last Waltz, a compassionate collective cheering farewell to the methodologies of the late 1960s. The sparse “Coyote” reflected Robbie Robertson’s pictorial ballads. Demonstrative drums aided her voice as Rick Danko and Richard Manuel paired in harmonious richness. 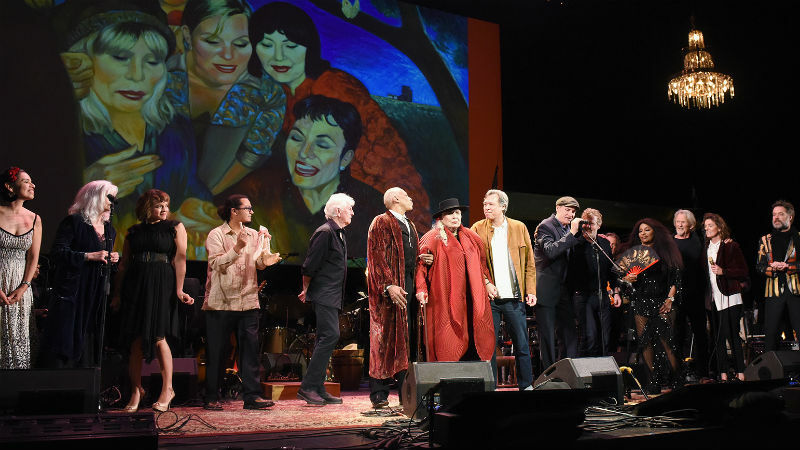 It’s a memorable moment in a set list that includes Neil Young, Van Morrison, Ringo Starr and Bob Dylan. 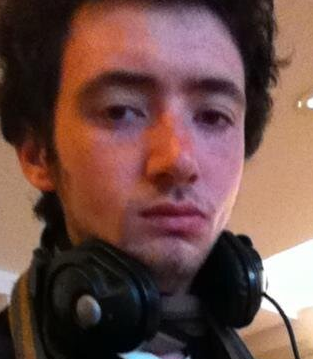 Over 19 albums, Mitchell’s output flourished with the detail and description a painting would deliver. Dividing her work between art and music, Mitchell’s trajectory covered themes of unvarnished emotion, Woodstock and Big Yellow Taxi a perennial cover inviting singers to the bygone, but envied, 1970s. Fittingly, this film celebrates her career, modelled on Martin Scorsese’s musical epic. It doesn’t quite match the bar set by the band, but Mitchell is ably celebrated by singers contemporary and youthful delivering her life’s work. The stage welcomes Chaka Khan, Rufus Wainwright, Seal, Brandi Carlile, Glen Hansard, Emmylou Harris, Norah Jones,Diana Krall; Kris Kristofferson, Los Lobos with La Marisoul, Cesar Castro & Xochi Flores, delving with adaptations faithful to the transformative (Both Sides Now comes across as a very different beast under Seal’s luxuriant tones). Graham Nash dedicates a number he wrote half a century ago and Déjà Vu’s Our House sounds more personal given the backstory Nash attributes to this standard. James Taylor strums the delicious “River”, undoubtedly aware of his muse in the song’s creation. 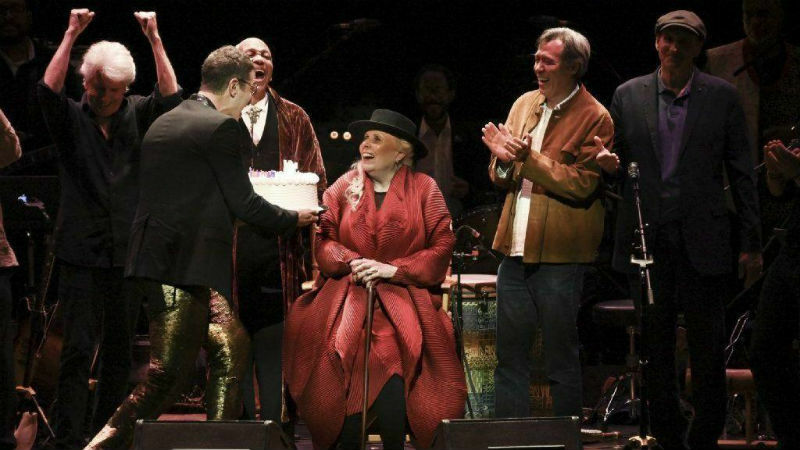 The celebration culminates with all the stars performing and presenting Mitchell with a birthday cake on stage, who otherwise takes a more reclusive stand during the concert. Nora Jones is much less reclusive, delivering the show-stealing rendition of Court and Spark a haunting essay of despair, vibrating over Jones’ low hanging voice. Behind her, a plaintive piano posits itself with rehearsed ease, denying other tracks a certain inspired live energy, but maintaining a standard of consistency among artists. In Mitchell’s absence, musical directors and bandmates Jon Cowherd and Brian Blade keep the ship in check. Between the sets, singers allow themselves a moment to praise Mitchell and the influence she has bestowed their careers. Mitchell is missed, yet the film ably shows the imagination of her penwork, the variety of her songs, the steadfast nature of her art and the power one songwriter holds on generations of singers. Rather than wrap a period forever sought after, this is a waltz that invites its viewers to join in. Joni 75: A Birthday Celebration is in cinemas across the world on Thursday, March 21st.